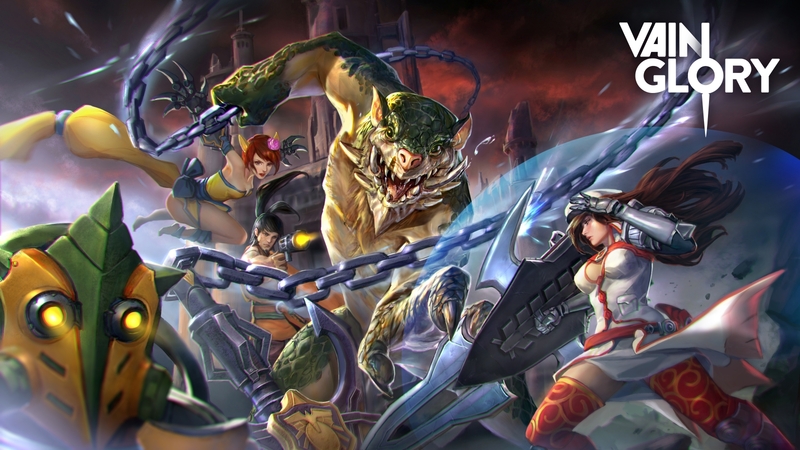 Today, Super Evil Megacorp is launching Vainglory update 1.13, ushering in the new Vainglory Winter Season. In addition to changing the competitive season from Autumn to Winter, the update introduces a new hero, new skins, a wintery new look for the map, and balance changes. Reim is a grizzled, hardened frost mage. Known among the Grangor as “Terror of the Kall Peaks,” the mage is known to take what he wants and freeze everything in his way. He moves slowly across the battlefield, tough to take down, and is recommended as an effective jungler. Winter Spire: Reim summons a spire of ice at a nearby location, dealing crystal damage to surrounding enemies. After a short delay, the spire shatters, dealing heavy crystal damage. 35% of the damage dealt with this ability is gained as fortified health. Damage dealt and fortified health gained is reduced against non-heroes. This ability deals 25% increased damage to chilled targets. 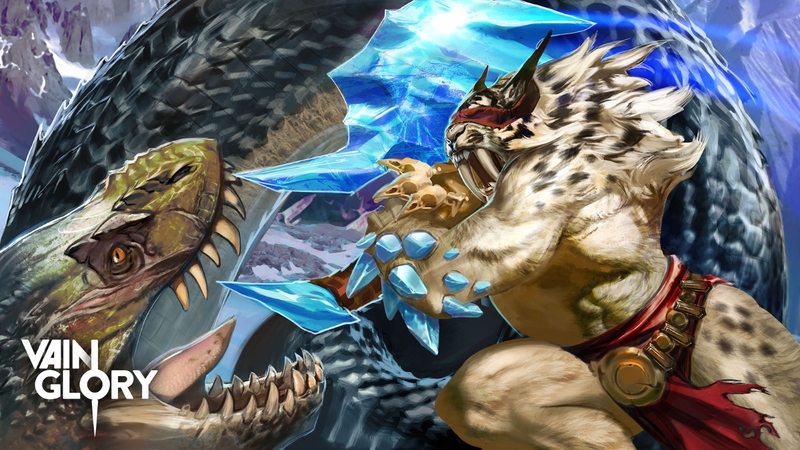 Chill Winds: Reim deals a burst of crystal damage to all surrounding enemies (25% damage to minions). This ability roots enemies who are chilled, temporarily preventing them from moving. A rooted enemy can still attack. Valkyrie (Ultimate): Reim summons an ancient valkyrie, devastating enemies at the target location. All enemies are slowed, while enemies closer to the center are stunned and take increased damage. With this skill set, Reim is going to prove a difficult target to take down one-on-one and will be an essential team player with his ability to slow, root, and stun enemies. 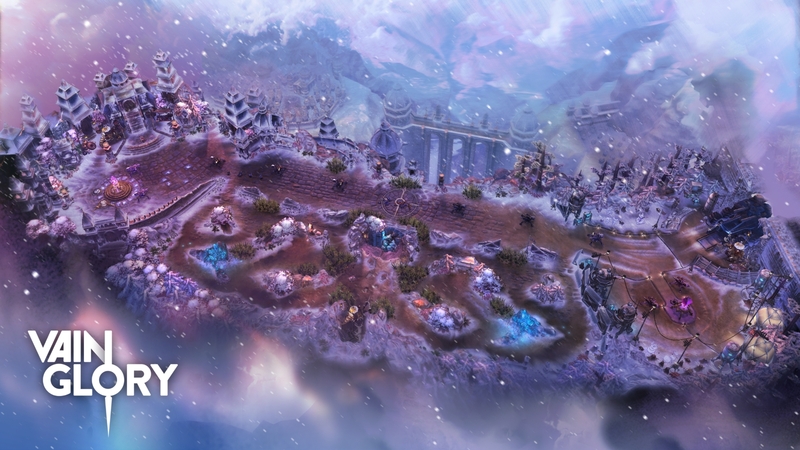 Halycon Fold freezes over for the season with a new map skin, featuring the perfect weather for Reim. The battleground becomes covered in snow and ice. Growing up in Michigan, I remember ice storms freezing the trees. It was poetic how the sunset painted the snow gold and purple. It’s very painterly. That was my inspiration for the winter map: white blankets of snow that enhance the lighting. Put on your winter coats for this map, because this beautiful frozen landscape will be around for the season! Veterans of Vainglory know that Minion Mines have become an avoidable objective. 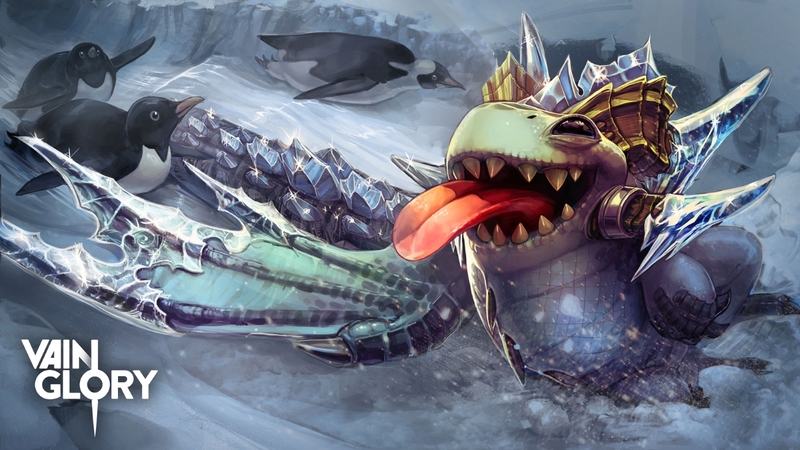 Holding mines put risks on the team of either over-pushing a lane or feeding the enemy gold. Super Evil Megacorp wants to make Mines attractive again by balancing them to offset these risks. Now, controlling a single Minion Mine will not cause minions to naturally push the lane, and grants minions bonus offense and defense only against heroes and turrets. Controlling both mines will cause minions to push the lane and gain bonus offense and defense against all enemies on the map, including minions. Neither mine control increases gold bounty of lane minions. Be aware that these changes also mean an increase in the health of the Minion Miner! The end of one season means the start of another! Players will just have a few days to prepare before the Winter Qualifiers begin on January 16, watchable on Vainglory’s Twitch channel. Over 500 teams have applied for the qualifiers, so this promises to be an intense season with battles that might thaw out the ice. This Seasons’ balance changes include adjustments to Skye’s Suri Strike, Blackfeather’s On Point, and Kestrel’s Glimmershot. Also in focus is reducing the strength of some heroes’ ability to wave clear, and adjusting Petal’s munions in turn. You’ll want to read up on the details of these changes here. 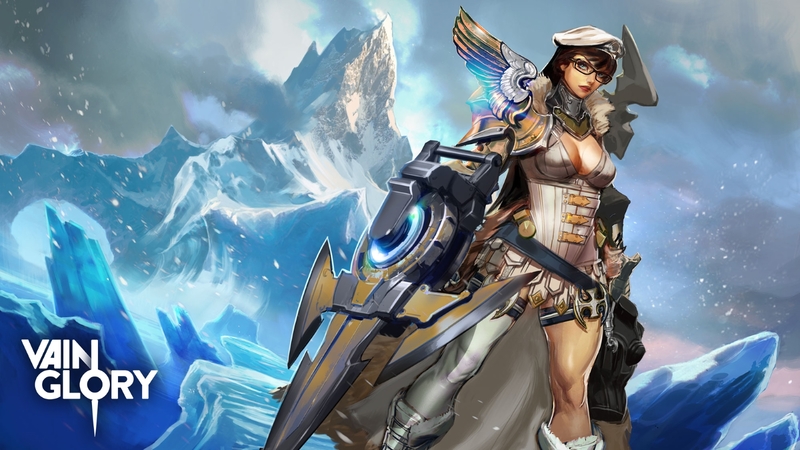 The Vainglory Winter Season is looking to be exciting, so bundle up and prepare for the upcoming qualifiers!